How do I choose the right training school for me? We are extremely flexible in our training approach. RMT Motorcycle Training was set up with the sole intention of looking after its customers. Most of the training can be done on a weekend as we realise that our customers do not want to take holiday to do a training course. RMT Motorcycle Training prides itself as one of the best training organisations in the country. We constantly monitor our training and procedures, so believe we can pass our expertise onto our students. We have the MCIA Business Accreditation, that only a handful of Training Schools hold and we have ISO 900/2008 to ensure we always deliver a professional service to our customers. We also have a customer charter that we strictly adhere to, available to see in our office. Are they working from home or a business premises? RMT Motorcycle Training has two purpose designed premises for our students comfort. You are spending a lot of money on your instruction, so check that the school has a proper training centre and address, some try to look bigger by giving car park addresses instead of a business premises. A proper learning environment is important for classroom lessons as well as a place in the warm to relax during breaks. If there is no office base, ask yourself the question, does this company sound professional? Did I get all the relevant information I wanted when I got in touch? RMT Motorcycle Training strive to give you the all relevant information when you contact us by internet or telephone. Feel free to come to one of our offices in either Redditch or Birmingham and we will be more than happy to answer any questions you have face-to-face, you will probably see one of the office staff if you take the trouble to come and see us. Please let us know what training or advice you want and also tell us how we have done as your feedback is vital to us, so that we can make improvements to our service. Are they well established, with a good reputation? 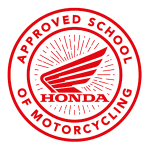 RMT Motorcycle Training has been established since 1996 and we have trained thousands of extremely happy customers over the years (see our Ask Our Advocates page and read testimonials). Our strict instructor training regime to our own trainers, ensures that you are in good hands from the moment you arrive. Do your research before deciding upon a training school. If you ask around, you will find that our reputation precedes us. Do I need my own bike and safety clothing? No, we will provide you with a moped or motorcycle, a helmet, gloves and a jacket but you will need your own suitable footwear. In the absence of motorcycle boots, we suggest boots such as Dr Martens or Rockport (or similar) but no steel toecaps please, as you cannot feel the gear lever. We will provide you with very good waterproofs in the event of training in the rain, this will ensure you remain dry, comfortable and can concentrate all day. Do I need my own insurance if I am using one of your motorcycles? No, the ATB (Approved Training Body) should have proper insurance cover. If they employ staff make sure they have adequate cover to be teaching you. 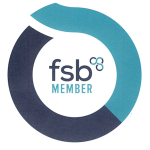 Do they have Public Liability, Employers Liability and Professional Indemnity cover? It is a legal requirement that these certificates along with their Health & Safety Notice are display in their premises. If a training school is operating out of a van in a car park, where are their certificates, do they have them? ALARM BELLS should start ringing, walk away! Can I train on my own bike? Yes, but we need to see evidence that your bike is roadworthy. Please provide all documentation to us such as MOT certificate (if needed), a valid insurance certificate and an proof of tax. Your machine must also display L Plates and be in a roadworthy condition. RMT Motorcycle Training is open 7 days a week, including all bank holidays. We are only closed on Christmas day, Boxing Day and New Year’s Day. On the other days over this period we usually have skeleton staff cover – if you want any clarification, please give us a call. What time do courses or training run? Our courses are for the full day in duration, we hear all too often that other training organisations finish their training early or worst still, at lunchtime. This does not give you value for money, it is cutting corners that in turn leads to you not being fully prepared and safe enough to be on the road alone. Costs will vary from school to school, but be aware of the old adage that you get what you pay for. Prices are not comparable between a professional organisation with its own training premises and an instructor working from home or out of back of a van. The general rule of thumb is that your training should cost 30-35% less for someone with no business premises or training school. Just remember that good training could save your life and what price can you put on that? What qualifications should the instructor(s) have? Ask the training school about what instructor development programmes are in place to ensure tuition is kept up to standard. All of RMT Motorcycle Training instructors have personally undergone Methods of Instruction training with the owner; take a look at our instructor page to view the qualifications held. All instructors are required to participate in Advanced Training and regular in-house training days. Most of our instructors are DVSA assessed which means that they have undergone more than the necessary training and have many years experience teaching/instructing in other areas too. We have a wealth of experience and have regular brainstorming sessions to enable us to provide the most up-to-date techniques, so that your training is amongst the best in the country.